Courtesy of The Morine Group, REALTORS, Tammy Campbell. BEAUTIFULLY UPDATED and ready to move in! 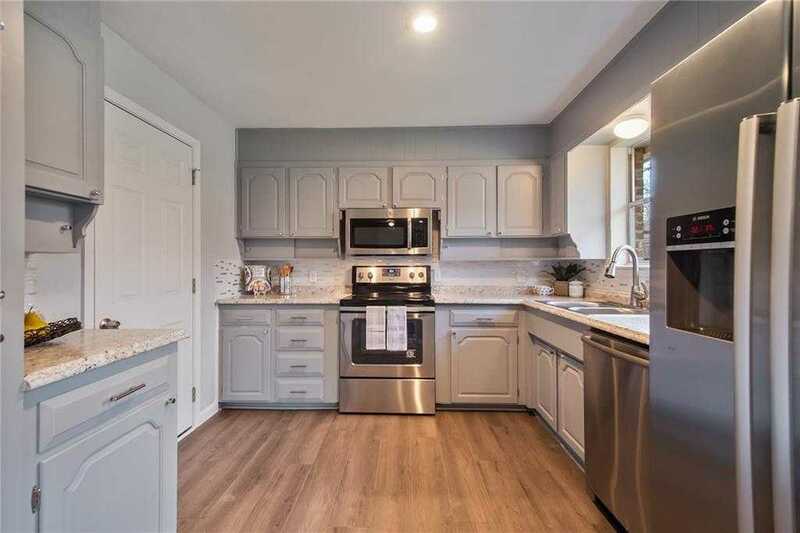 This home has been tastefully updated with new laminate, tile and carpet. New paint, interior doors and hardware. The kitchen features new counter tops, tile backsplash, new gas stove, microwave & dishwasher. Fridge is included with this home! There are 2 separate living areas. The fireplace can be enjoyed by the back living room, dining room & kitchen. Master bedroom and extra bedroom downstairs. Upstairs you will find 2 bedrooms and a bathroom. The large fenced backyard has a storage building and trees! Please, send me more information on this property: MLS# 13996260 – $234,500 – 929 Wade Drive, Bedford, TX 76022. I would like to schedule a showing appointment for this property: MLS# 13996260 – $234,500 – 929 Wade Drive, Bedford, TX 76022.